Lets dive into the world of social media - the who's who of people you have probably seen around the social media-sphere, while demonstrating their expertise in property and others who you might just be hearing about for the first time. This list is in no particular order! 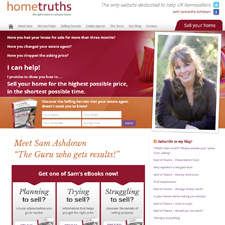 Samantha Ashdown owns and runs Home Truths, a website she setup in 2004 to help sellers who have been on the market for six months or more. Samantha boasts some impressive social clout with a total of 16.8k Twitter followers, 1,349 Facebook likes and 818 Google+ followers. If you're looking to sell your house fast and get off the market as soon as possible then follow Samantha on all her social channels. She's constantly keeping her social feeds updated with the latest selling tips! 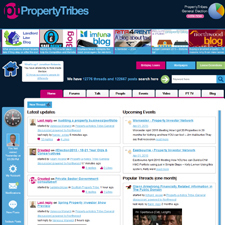 Vanessa Warwick is the founder of the website Property Tribes along with her husband, the site is aimed at professional Landlords. Released in July 2012, the site aims to promote discussion mainly through its users. Only being 3 years old, the site has a impressive following, with 12.4k followers on Twitter. 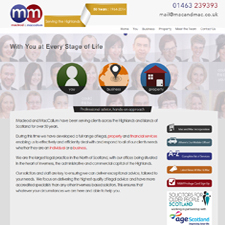 Peter Mason is a partner at the company Macleod & MacCallum located in Iverness, Scotland. Peter even holds a season ticket with Iverness Caledonian Thistle. Peter is a very active user on Twitter with 12.9k followers - he is often seen sharing and posting property industry news regularly. He also boasts an impressive 1,065 Facebook likes. Following Peter is a must if you want all the latest and up-to-date news in the Scottish property market. 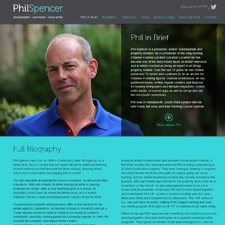 Phil Spencer or more commonly known as @PipofftheTV on Twitter is a TV property personality. He has personally been involved with over 70 hours of Channel 4 programming. Phil also founded the company Garrington Home Finders. Phil has a huge social following, a massive 143k Twitter followers. If you want to catch Phil on TV, he often posts updates on where he will be appearing next. Andrea Morgan is a interior design expert - she's the go to person when looking for the best tips and tricks! Andrea also contributes regularly to the Rightmove blog, while also being a contributor on the Primelocation website. 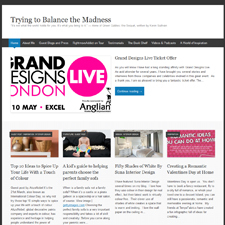 Trying to Balance the Madness is Andreas personal website where she talks about dream properties, amazing interiors, strange, eccentric and the unbelievable. Highly recommend giving this one a read! Andrea has a loyal following across all her social channels, with a whopping 11k Twitter followers. She also has a following on Facebook with 983 Facebook likes, while 763 Google+ followers. You can also find her on the social networks such as Pinterest, Tumblr and LinkedIn. Kirstie Allsopp is also a TV personality, who also works very closely with Phil Spencer! If you watch Channel 4, you will definitely recognise Kirstie - staring on Relocation Relocation, Location Location Location. 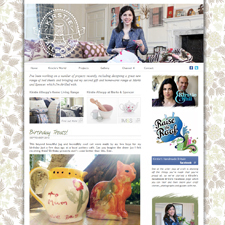 You can find everything about Kirstie on her website, aptly named Kirstie Allsopp. The biggest social star on our list with a whopping 376k Twitter followers watching her every Tweet! Kirstie's Handmade Britain facebook fan page also has an impressive 36,741 likes. Henry Pryor is as quoted "the BBC's favourite property expert" and with good reason. Henry is one of the most recognisable housing market experts in the UK - he is credited with writing numerous articles for BBC Online and MoneyWeek. 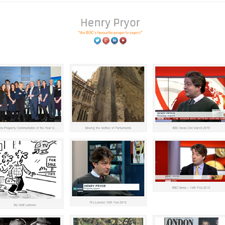 You can learn everything about Henry on his personal website Henry Pryor. Henry is an active Twitter user and it pays off, having a cool 15.3k followers read every Tweet he makes. Last updated on 29/06/2015 by Jonathan Rolande.